Kidney stones affect more than 8.8% of the population in the United States, with direct and indirect treatment costs estimated to be several billion dollars per year, making it a common and costly disease. A new guideline for the surgical management of patients with kidney and/or ureteral stones has been released by the American Urologic Association. Chair of the panel, Dean Assimos worked with a team of kidney stone experts to develop one of the largest guidelines documents that the AUA has ever produced, highlighting more than 50 statements on best practices when treating patients with kidney and ureteral stones. “The most pertinent change is that decision-making for treatment and therapy for patients with kidney and ureteral stones should be shared between physician and patient,” said Assimos, chair of the University of Alabama at Birmingham, Department of Urology. 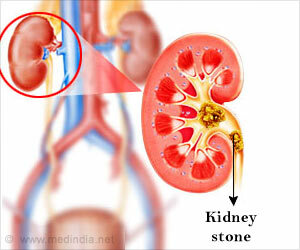 The guidelines further outline expert recommendations in relation to treatment of renal stones, small hard mineral deposits formed inside the kidneys, and ureteral stones, stones that have moved from the kidney to the ureter. The guidelines provide instruction on the evaluation of patients with renal and/or ureteral stones and highlight the lab and imaging studies that should be used prior to intervention for such patients. The technical aspects of ureteroscopic removal of stones are addressed more extensively in the guidelines. The previous guidelines discussed medical expulsive therapy via the utilization of alpha blockers to facilitate the passage of stones in all segments of the ureter. However, the recent guidelines recommend this therapy only for stones in the distal ureter, which is located in the lower part of the kidney. Ureteroscopic removal of ureteral stones may potentially render a patient stone-free in one procedure. In this process, a ureteroscope is used to either extract an intact stone or break it up using a laser with subsequent removal of the generated fragments.